Do we all experience flavour in the same way? Can we really trick our brains into eating healthy? Gastrophysics Chef’s Table is the latest project from Kitchen Theory, founded by Chef Jozef Youssef. Aiming to explore the science and psychology behind how we perceive flavour, Jozef has created a thirteen-course multisensory menu, using the research he has collated over the past five years with leading experimental psychologist, Professor Charles Spence of the University of Oxford. Set in an intimate studio in north London, the Chef’s Table seats up to ten guests, while Jozef and his team prepare dishes in an open kitchen allowing an interactive experience for diners. Following a Champagne reception, guests at Gastrophysics Chef’s Table take part in a series of simple taste tests that are designed to explore each individual’s sense of taste, and the strong psychological associations that we have with the different tastes: salty, bitter, sour, and sweet. To follow, guests are invited to dine on carefully designed dishes, using the finest seasonal ingredients, that show Jozef’s great creativity and skill as a chef, whilst continuing to explore the science and psychology behind how we perceive flavour. Bouba & Kiki is a dish of two halves that poses the question “Can you taste shapes?”, with ox cheek bao buns contrasting with octopus and rice crackers. 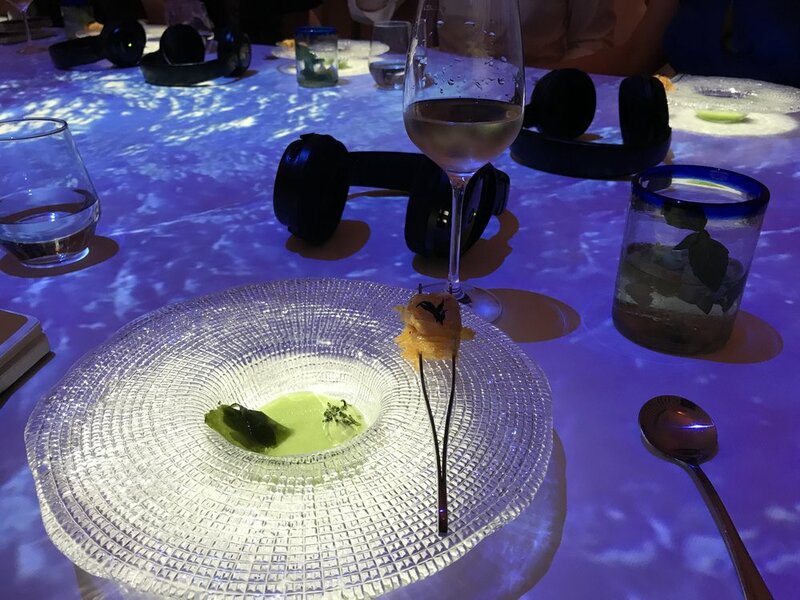 In Ryujin’s Servant, Jozef explores how audio impacts the sustainable ingredients of jellyfish, avocado, seaweed served with cucumber gazpacho while a tasting of Chivas Whisky with spiced goats cheese explores the relationship of texture, aroma and audio. Jozef has worked in some of London’s leading kitchens, including that of Michelin star chef Helene Darroze at The Connaught Hotel and the Dorchester Hotel before setting up Kitchen Theory in 2010. The Kitchen Theory team also create bespoke menus for private and corporate events, and offer chef masterclasses to discover some of the techniques behind Jozef’s cooking. Over the past five years, Jozef has collaborated with leading experimental psychologist Professor Charles Spence of Oxford University, with recent topics of research including the role of smell in experiencing flavour, or how sound might affect the seasoning of a dish. Jozef and his team have translated this research into a series of carefully crafted courses to encourage diners to question and understand a little of how they’re tasting food.